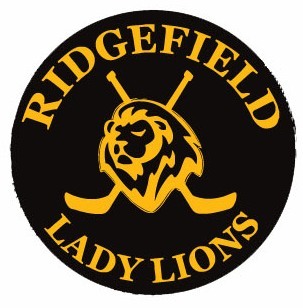 Ridgefield Jaguars are a recreational program designed to foster development of the person and hockey player while having fun. Fun is the operative word. The Program emphasis is on improving skating skill, on improving fundamental hockey skills, and on developing team play and sportsmanship. Approximately twenty Ridgefield JaguarsHockey teams will be formed with an adult, volunteer parent coaching staff of at least two! Atoms and Mites will play their games cross ice on a smaller divided rink format. During pre-season evaluations, each player is rated and is placed on one of three “lines” with other players of the same skill. Teams will be balanced. In games, each line plays against the corresponding line on the other team, so everyone is equally matched. Team standings are maintained and there is a season-ending playoff. All players are given equal ice time regardless of ability. The program consists of an average of one practice and one game per week. Ridgefield Jaguars play will be lightened up between Dec 24 and Jan 1 to accommodate school holidays. Complete hockey outfitting is required! Teams are open to boys & girls playing on Ridgefield Hockey (RAHA) travel teams. Please call or for details. Days & Times: Schedule will be published monthly after evaluations. EARLY REGISTRATION - MUST REGISTER BY JULY 15, 2018. TAKE ADVANTAGE OF HUGE SAVINGS OVER LAST SEASON'S PRICES! BELOW IS A LIST OF THE TIME SLOTS FOR EACH AGE LEVEL THAT WILL BE USED AS PART OF THE ROTATING SCHEDULE. THIS IS NOT AN EXACT SCHEDULE, BUT ONLY MEANT TO GIVE YOU OUR GENERAL SLOTS AVAILABLE TO EACH JAGUAR AGE LEVEL. All age level of teams will rotate through a Saturday 7:00 AM slot . We are pleased to announce that our Girls Hockey program is expanding to three teams! These teams will play against other all girls house level teams in the Connecticut Girls Hockey League - travel is within CT! Home and away games will be played against each of the CGHL teams! Girls team season ending tournament in March. Additional tournaments will be scheduled. Due to the game schedule which begins in November, all girls will start practice in September, every Saturday (8:00-9:00 AM). FOR COMPLETE LADY LIONS INFORMATION PLEASE CLICK HERE. ** We highly suggest that all girls play on our Ridgefield Jaguars teams for a 50% discount on Jaguar season fee.